The client's brief appeared simplistic but turned out to be rather challenging. A favoured article was free issued and it was a variable vane from a Nimbus helicopter. The brief was to present it in a new and unique manner that presented it from all angles (or at least as many as possible). What appeared simple was actually incredibly challenging. The end result was what I hope you will agree was an exquisite execution of that brief. Sad to say, this is the closest that you will ever be to this piece which was delivered to the client (in Paris) who was ecstatic and by their permission these images are available for your appreciation. 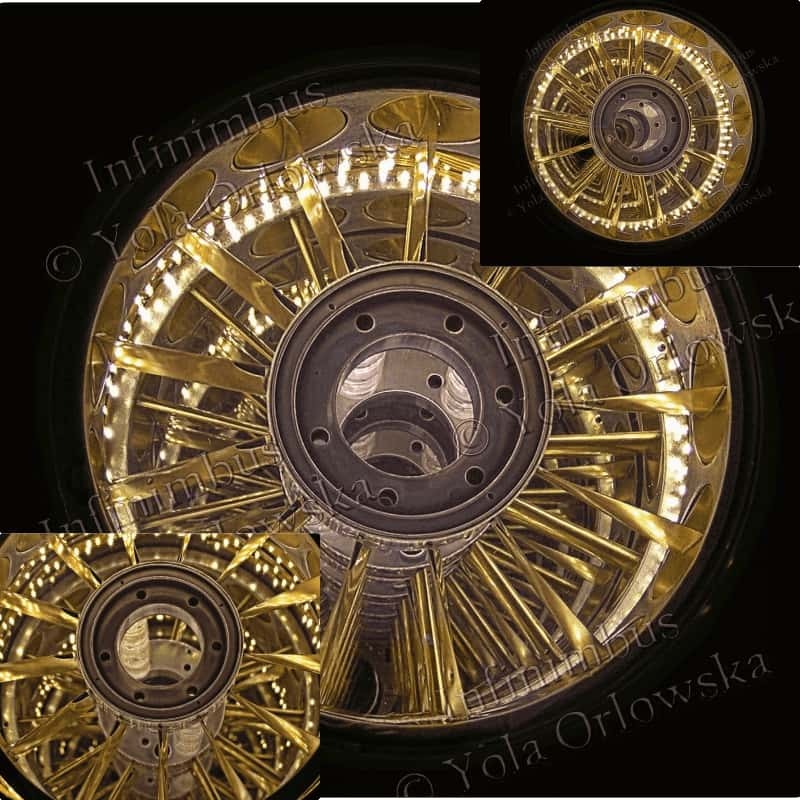 'Infinimbus', is a variable vane from a Rolls-Royce Nimbus helicopter engine, transformed into infinity wall art with bronze swarf inclusions in an optically clear lucite casing. You can't see pictures of the casing from these images but I may include them in the future, although this is dependant on the owner's permission. As with most art, it is best viewed and appreciated in real life. This is a truly captivating and stunning piece and one of my favourites. Enjoy the photos and I hope they convey a sense of the magic that is 'Infinimbus'.